You're looking for a soft cardigan for coolish days and evenings? We're ready to help you with this cardigan Sailor's Maid. It'll keep you warm and will perfectly complete your sailor outfit. The high-class fabric will nestle softly to your body. What are you waiting for? Go and grab it! A pinup sailor look is perfectly completed by this cardigan. Ship ahoy! The sweet cardigan convinces with the classic cut and the comfortable soft fabric. The authentic sailor collar looks great in blue with a decorating edge in offwhite/ red. 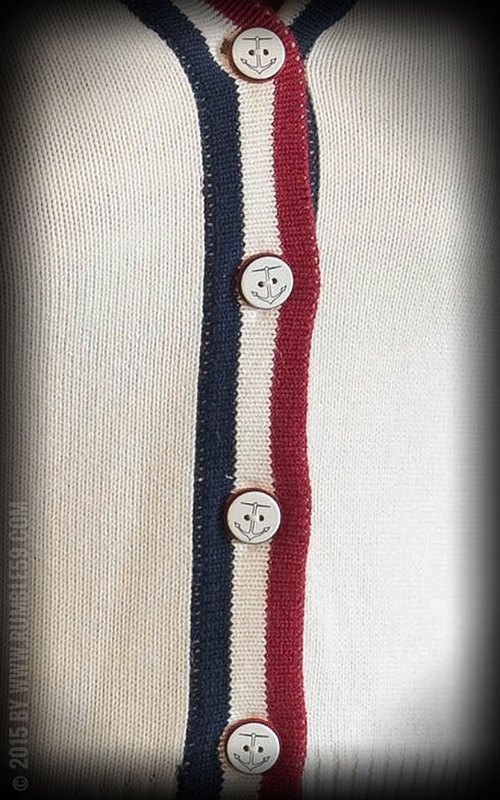 There's an high-class embroidery on both sides of collar in shape of a nautical star. 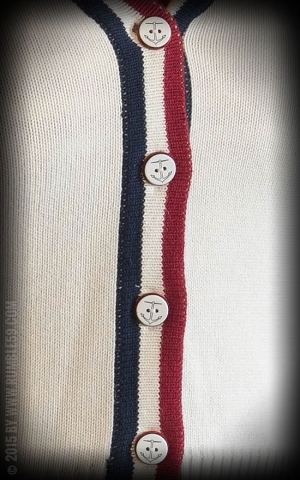 The hem of sleeves, fore- and backpart as well as the button-facing are decorated with contrasting stripes in red/blue. The big, multi-colored buttons are decorated by a blue anchor embossing. This cardigan brings quality, wearing comfort as well as a classic chic. Combined to denim styles or marlene pants you're perfectly dressed for every party, coffee parties or enjoyable shipping! Cast off! Rumble59 offers a great choice of vintage pinup clothing! A grand appearance is for sure with this sweet Cardigan Sailor's Maid! 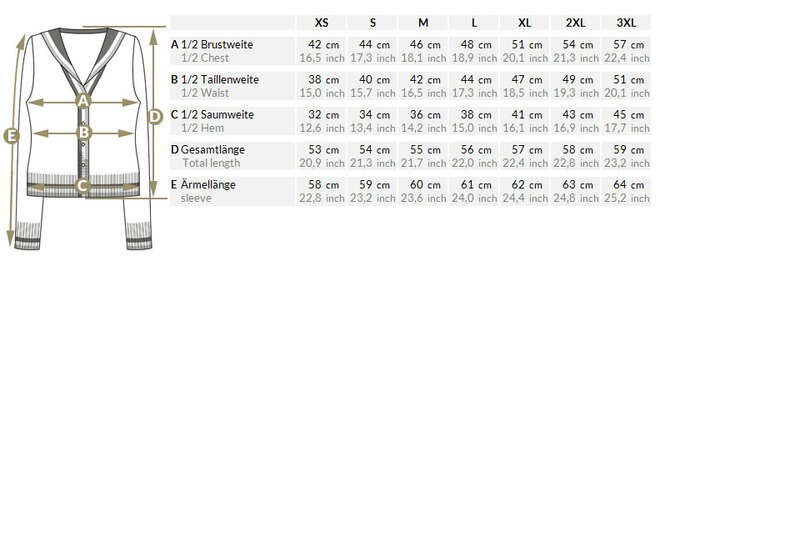 Machine wash is possible at 40° (gentle wash) - Anyhow we advise hand wash for much and of course long-lasting pleasure in this retro pullover! Ein tolles Teil würde es jederzeit wieder kaufen! Super Material und gute Verarbeitung - rundum ein Schmuckstück, was in keinem Kleiderschrank fehlen darf!